If you’re sure your phone has been stolen, wiping the phone will render it inoperable. You can access this function through the “find my phone” feature on both Apple and Android phones, but if you’re an Apple user and you wipe your phone while it is online, you lose your ability to track it. More importantly, removing a device from your Apple account while that device is online deactivates the lock, making it accessible to the thief. Wiping your phone only removes items on it, including photos, contacts, and other data that isn’t backed up, so make sure you can automatically backup your phone each time you charge or access free wifi. There are services that you can run, like Apple’s iCloud, Dropbox, or even Google Drive as an automatic backup. That way, your photos and data are backed up, and disconnecting your phone from them won’t lose anything. After you wipe your phone, you should change any passwords that are downloaded on it, especially if you have access to your bank or any other apps that facilitate payment. It also helps to have backup communication in place, especially if you lose your phone while you’re traveling. For example, having Skype on your tablet or laptop, or having iMessage (Apple) or MightyText (Android) on your tablet or laptop, will let you communicate with people when you find some wifi. This is also how you’ll wipe your phone or use the “find my phone” feature. Finally, contact your carrier and file a police report. You’ll probably need to provide the serial number for law enforcement so create a file on a separate device that contains this, your carrier’s number, and your account number to expedite this already painful process. (I recommend using Evernote for this. You can encrypt it, and access it on your laptop or tablet.) 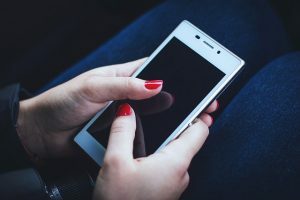 By filing a report and contacting your carrier, you can contest any fraudulent charges that may be made while the phone isn’t in your possession. Have you ever dealt with a stolen or lost phone? Do you have any bits of advice or tips to share? Let us hear them in the comments below, on our Facebook page, or in our Twitter stream.